I've been tweaking around with pico-8 for around a week now, and it's reminded me many times of a game called Hammerwatch. 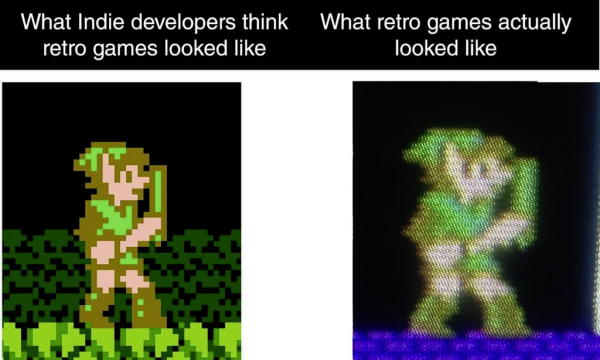 One of the cool features it has is a quite good selection of graphical post processing effects simulating a CRT tv. What I'm suggesting is to add similar effect, separately from the games, treating the pico-8 program kind of as an emulator. This way you could really get the old-school wibe going. As for what effects I'm talking about, pictures speak better than words. And before you go, I'll leave you with this.